Phishing sites and Malwares are designed to harm computers and steals your personal information like bank details, passwords without your knowledge. Usually these problems are arrives through internet. So you have to browse safe for protect your computer and personal information. 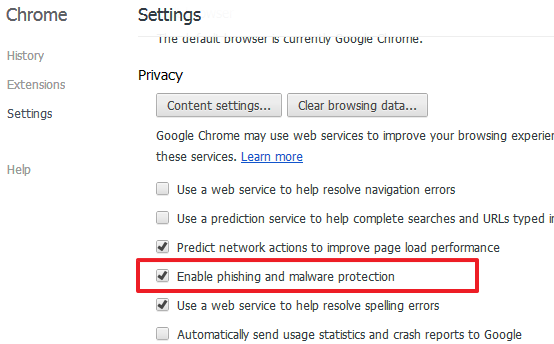 World's #1 web browser Google Chrome having a default feature called "Enable Phishing and Malware protection" that offers safe browsing experience to users. 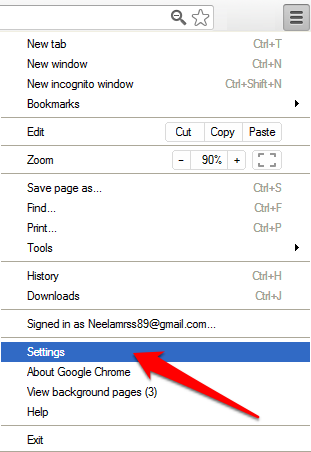 Follow the simple instruction to enable Phishing and Malware protection on your Chrome browser. Finally select the "Enable phishing and malware protection" checkbox. That's all you're successfully enables phishing and malware protection on your browser. 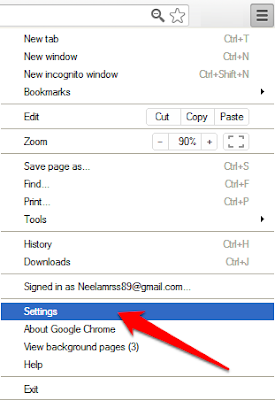 Here after Google Chrome warns you if the site you're trying to visit is suspected of phishing or malware, using Google’s Safe Browsing technology.